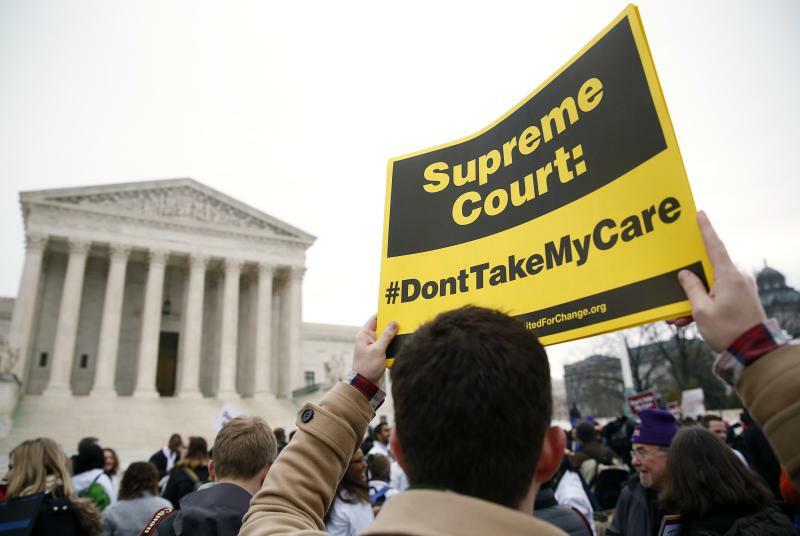 The huge question about the Affordable Care Act at the moment is whether it will survive a Supreme Court challenge that could eviscerate the law’s central provisions. If the justices side with the plaintiffs in the case, known as King v. Burwell, roughly 7 million Americans could lose health insurance. The ACA would become endangered, literally overnight. But what if the Supreme Court upholds Obamacare, as the ACA is known, when it issues its King v. Burwell decision in June? In that case, Obamacare will be here to stay, which means it will be time to start fixing the parts of it that don’t work so well. Even President Obama, who championed the ACA, has said “continuous improvement” is an important part of implementing the law. The biggest consumer complaint about Obamacare is cost. The ACA provides subsides for many people buying health insurance through Obamacare, which helps keep the monthly premiums manageable. Those costs vary by state, but the monthly premium for a midtier “silver” plan for a 40-year-old individual making $30,000 per year is around $200. Not terrible. The problem comes when people actually need healthcare, because co-pays and deductibles can quickly devour cash before insurance even kicks in. The average deductible for a silver plan under Obamacare is $2,927 for an individual and $6,010 for a family, according to research firm HealthPocket. For a cheaper bronze plan, deductibles are much higher: $5,181 for an individual and $10,545 for a family. With Obamacare now in its second year of implementation, many participants are discovering that while insurance coverage may be “affordable,” actual health care is not. New data published by the nonprofit Kaiser Family Foundation shows that those out-of-pocket thresholds are far more than many ordinary families can afford. A typical household occupied by Obamacare enrollees has between $512 and $1,594 in median cash savings and other liquid assets, according to Federal Reserve data crunched by Kaiser researchers. Such families would qualify for subsidies to help pay the monthly premiums for an insurance policy. But there are no such subsidies to help cover deductibles. All plans offered under Obamacare have an out-of-pocket maximum, which is $6,600 for an individual and $13,200 for a family. That’s meant to assure that people with insurance can’t rack up ruinous amounts of medical debt, which is the single-biggest cause of personal-bankruptcy filings. Still, people who can’t cover their plan's deductible can end up owing thousands to doctors, hospitals and other providers, or running up debt on a credit card to pay for uncovered expenses. Rising deductibles and other out-of-pocket costs are a problem in the private sector, too. To keep a lid on insurance premiums and the amount workers must shell out toward those, many employers have been pushing up the coverage thresholds before insurance kicks in. But deductibles are still far lower among employer-sponsored plans than for those offered under the ACA. Kaiser says the average deductible in the private sector is $1,217 for an individual plan. Based on the figures above, from HealthPocket, that's 58% lower than the average deductible for a silver policy under Obamacare, and 77% lower than the average bronze deductible. Still, the rising cost of healthcare is a problem nearly all Americans share, whether covered by a private plan or a federally subsidized one. For the better part of two decades, the cost of medical care rose by 3 to 4 times the rate of inflation, taking an ever-larger bite out of family paychecks. Those cost increases have subsided during the last couple of years, for reasons nobody is quite sure of. Some economists think medical costs will skyrocket again as baby boomers age, more people get covered and an economic recovery puts more disposable income in people’s pockets. The ACA does contain some provisions meant to help rein in costs over time—but there have been many efforts to do that, with minimal success. Some ideas for addressing the cost problem, if the political warfare over Obamacare ever subsides: Reduce certain tax breaks that encourage some patients to spend more than necessary; create incentives for transparent (and rational) pricing at hospitals; allow insurance carriers to compete across state lines. Forcing patients to cover more of their own costs is also likely to make them better healthcare shoppers, pushing costs down. Until then, maybe they should rename Obamacare the the Slightly Less Exorbitant Care Act.